Reading Country Club is one of a few clubs that were founded during one of the most bigoted periods in South Africa’s history, shortly before World War II. During this time, and into the 1940s, there were not only the draconian racial laws on our statute books, but also the more insidious notions, held by some, that certain members of the white population were somehow inferior, or at least too different, to be accepted into many of the country’s golf clubs. As ludicrous as this may sound now, there was friction between many of the English- and Afrikaans-speaking groups (presumably the result of a decades-long hangover after the Boer War), and of course what made the situation worse was the feud between German sympathisers and the ‘souties’ during the lead-up to the hostilities in Europe. There was also the all-too-common but shameful anti-Semitic sentiment that was rife at many golf clubs and other institutions at the time. How the committees at these clubs could justify enforcing these ridiculous policies beggars belief. Some clubs were perhaps a little more subtle than others, and if anyone was considered to be ‘too Afrikaans’ or (horror of horrors) Jewish, they would be politely told that the membership was fully subscribed. Others among these ‘waspish (white, Anglo-Saxon Protestant) clubs’ were far more blatant, and made no secret of the fact that golfers of a certain colour, creed or religion were unwelcome – either as members or visitors. It was not surprising to see groups of golfers that were unfairly discriminated against simply establishing their own clubs, and Reading Country Club was one of these. The 5th is a beautiful par three that requires a long carry over water, which tends to be a mental hazard to many players, even though the hole is rated the easiest on the course. The first informal meeting to discuss the ambitious project of establishing a new club was held at the Germiston home of Mr and Mrs Silver in March 1939, and it was at this meeting that three important resolutions were decided upon: that the land suitable for a country club would be found and a price negotiated, 250 foundation members would be enrolled, and that the club would be called Reading Country Club. It is not known why the name ‘Reading’ was chosen, but we must assume that there was some connection between one or more of the founders and the English city in Berkshire, which does happen to have a large Jewish community. No time was wasted in identifying land suitable for the construction of the golf course and other facilities, and after making the choice between a tract of real estate where the present Alrode industrial area is and the club’s present home, work began. 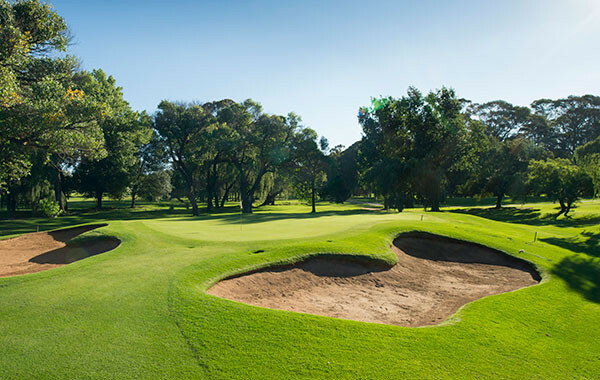 Three respected golf professionals at the time, Sid Childs, Tommy Tomsett and Koos de Beer, had a hand in choosing the land, and although it was well-positioned to suit Germiston and Johannesburg residents, the construction of the course was no easy task. The man entrusted with the job of designing the layout was Sid Brews, and because part of the land had been used as a brickfield, he had several gaping clay pits to contend with, and it can only be imagined how difficult it must have been to shape the holes and establish the turf on ground that was difficult to drain. What is clear is that the founders of the club were a determined lot – despite failing to raise the purchase price of the land (£4 000 for a total of approximately 300 acres), some of the original group guaranteed the bank overdraft, and although we do not know exactly how much the course construction cost, it must have been a considerable sum. At one point it seemed that the course may not be built at all, and at the first general meeting (held at the Alexander Hotel in Germiston in June, 1940), it was suggested that because of the hostilities in Europe, the whole scheme should be abandoned. It was even mooted that the money that had been collected should be given to charity. Thankfully for golf lovers, this motion was defeated, because Reading would soon take its place among the very finest layouts on the Highveld – a course that would for many years be rated among the crème de la crème. Indeed, for extended periods this club could fairly boast one of the finest- conditioned layouts in the country. The 11th is a very difficult par three at full stretch (188m), where hitting the green is a must. Besides the bunkers guarding the putting surface, the shape of the green’s surrounds can leave a tough recovery. 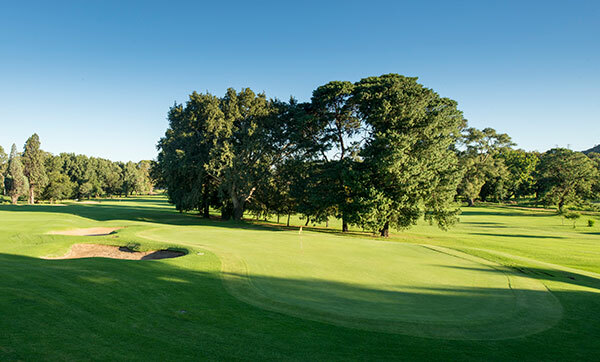 Perhaps one of the most endearing aspects of this golf course is its truly classic feel – the tree-lined fairways and the water features (that come into play on 10 of the holes) certainly qualify it as quintessential parkland type. But, as general manager David Smith points out, the club is about a lot more than merely being a good course. With a total membership of 900 golfers, a little over 40 000 rounds are played here each year, and more than half of those by visitors. The cost of a round, given the quality of the layout, is certainly very modest, and it is not surprising to see visiting golfers regularly returning. The par-four 13th was originally designed as a par five, and many golfers wisely play the hole as a three-shotter. Doglegging to the left, the drive has to favour the right and the longer hitter will be left with a medium-iron approach. The club’s position, which is easily accessible from the major highways, is also a plus. Like the majority of clubs, Reading has endured its ups and downs over the years, but it is pleasing to see that in recent times the facility has shown signs of financial well-being. The money that the club has generated has been ploughed back into projects such as clubhouse revamps; the function rooms have undergone facelifts and the golf course conditioning must be complimented. Under the stewardship of course superintendent Sean Byrne, the layout is always neat, and because of the high poa annua content in the greens, these are cut twice a day on Saturdays or during special events. Some two decades ago the course was upgraded by GolfData; the company replanted the greens with Penncross Bent and did some work on the bunkers. The original Sid Brews design was not tampered with, so today we have a very enjoyable and fair test which has no pretentions of being a fierce championship layout, and long may it remain so. Of course, at its full length of six-and-a-half kilometres it is not exactly a ‘pitch- and-putt’ layout, and the course does demand the perfect blend of power and accuracy for a player to score well. The club has adopted the motto: “Come and play in our park”, and this suggestion is confidently recommended. You are sure to be well looked after, and playing the course, no matter what your handicap, is sure to be a lot of fun. 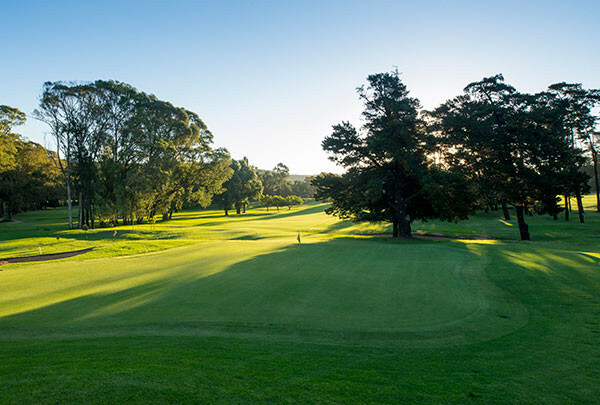 COURSE: Classic parkland, kikuyu fairways, bent/poa greens. Par 71, championship length – 6 552m, club tees – 6 189m. DESIGNED BY: Sid Brews (1940), redesign GolfData (1996). 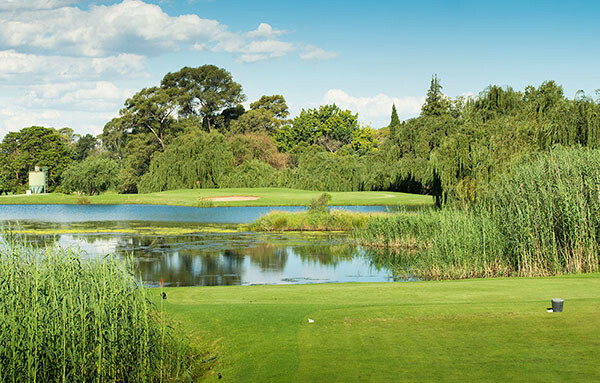 GREENFEES: Affiliated – R240, non-affiliated – R300. GETTING THERE: From the N12 highway southern bypass (Alberton) take the Voortrekker (M31) exit 404 and proceed right along Ring Road West. Turn right into Fore Street. feel, friendly locals, great atmosphere in the 19th hole and a classic, tree-lined layout. ■ Excellent value for money, and easily accessible from all parts of greater Johannesburg. ■ The traffic on surrounding highways can be problematic, so times to avoid peak hours must be chosen to avoid frustration. The Mercedes-Benz M-Class gives a whole new meaning to landing on the green. Available with a range of efficient engines including BlueDIRECT and BlueTEC models, with a sublime design and powerful form, the M-Class has a particularly impressive presence. The Active Curve System uses stabilizer bars to improve the ride comfort, agility and safety of the drive, meaning the M-Class will leave you with nothing to prove. In addition to the excellent aerodynamics and superior technology, the M-Class bears testament to the Mercedes-Benz promise- the best or nothing. To experience a truly dynamic vehicle that offers the best drive both on and off the road, book a test drive today.